Aeramax’s focus is creating turnkey solutions to improve indoor air quality. We help wellness caretakers address air concerns with products that easily integrate into their facilities, using responsive technology for simplicity, from a foundation of proven innovation leadership. AeraMax Professional air purifiers have helped facility managers in corporate, education, assisted living, healthcare and other industries maintain a higher quality of facility. Bobrick is a privately-owned family business that built its reputation over the last 100+ years as a global washroom accessory and partition company headquartered in North Hollywood, CA with six manufacturing divisions across the United States and Canada and business operations that extend into 85 markets worldwide. A leader in product innovation and manufacturing, Bobrick prides itself as a company that delivers best-in-class products and service, while fostering an environment of collaboration and continuous learning. "It's the door you can open with one finger." This Ellison ad slogan from the 1930's stands true to its sentiment today. More than 80 years later, many of the Ellison balanced doors from the era also stand true to their quality. Since the very beginning, quality control has remained paramount at Ellison. Any attempt to compromise Ellison quality has always been, and will continue to be, squarely rejected. That’s why Ellison doors – including all balance hardware mechanisms – are cast, crafted, formed and uniquely constructed in-house in our ISO 9001-certified facility. They are made from only the finest choice of materials, including bronze, stainless, wood, glass, and aluminum. This staunch commitment to the highest achievable quality also extends to Ellison employees. Our seasoned and talented designers, metalworkers, artisans, and technicians take enormous pride in their work at Ellison and accept nothing less than perfection for our clients. Ellison sales professionals are also considered the industry’s best, readily providing clients with helpful consultation in technical details, design, and code compliance for any projects located around the world. ELMES INC was established in Torrance, California in April 1997 in order to introduce Japanese door handles to the American market. For over fifteen years, we have steadily challenged and expanded our business in order to meet the growing demand for high end, elegant and sophisticated door handles.All of our products are produced by our Japan based parent company, UNION Corporation. Since 1946, UNION has pursued advanced manufacturing of building hardware and is now the industry leader in Japan. Particularly in the field of door handles, their advanced technology has resulted in over 2,500 distinct designs in materials ranging from stainless steel, brass and bronze to compressed wood, titanium, carbon and porcelain. Moreover, this manufacturing history makes UNION uniquely able to meet any custom design request. ELMES INC is proud to be the exclusive distributor of UNION products in North America. We look forward to supplying your hardware needs with our exquisite range of door handles. Hadrian Manufacturing Inc. is a worldwide supplier of quality toilet partition and locker products. Hadrian was the first manufacturer to powder coat toilet partitions and has continued to embrace new technologies and materials in order to offer architects, designers and end-users more flexibility in design. Koala Kare Products is the world's most recognized brand of Baby Changing Stations and commercial childcare products. We are a privately held company headquartered in Centennial, CO and a Division of Bobrick Washroom Equipment, Inc. Helping operators of public establishments equip their operations to accommodate the needs of caregivers and their children is what Koala Kare Products is all about. We're proud to be the world's leading provider of safe and innovative commercial childcare products for over 25 years. PDQ is one of the few remaining door hardware manufacturers’ still family owned, with manufacturing facilities in Leola, Pennsylvania. We are committed to offering that personal touch, outstanding service and independence that the larger, multinational corporate conglomerates have difficulty matching. For more than 33 years we’ve made it our mission to attend to every detail of every job in the way only a family-owned business can! It’s a personal commitment. You can see it in how we treat our employees and how we feel about our customers. Because with PDQ, making the highest quality commercial grade lock and door closures isn’t just a business. It’s a matter of family pride. Elevated design. Exclusive application. 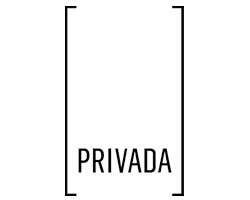 For your most prestigious, exclusive restroom projects, PRIVADA delivers elevated aesthetics, modern function and dedicated support to solve any high-end restroom design challenge. Manufactured with unmatched precision and attention to detail, ensuring a quality product fit for only the most exclusive applications. With PRIVADA, architects, designers and building owners can envision the look they want without compromising function and privacy Built with High-performing materials PRIVADA’s partitions feature vanished sightlines, a ”floating" framing system all while creating a safer, more comfortable experience. It all adds up to the most exclusive restroom privacy solution on the market. Potter Roemer looks at products, not from the viewpoint of how it’s always been, but rather how much better it can be. This approach produced the industry’s first UL classified and listed extinguisher and valve cabinets, providing the assurance of the integrity of rated wall assemblies. We then dared to change an industry. Potter Roemer’s innovative, patented Break Rite glazing system and handle delivers greater safety for building occupants, greatly reduced liability for building owners and peace of mind for the specifier. Our familiarity with, and knowledge of, the links connecting the owner, specifier and installer, makes us uniquely qualified to be responsive to every phase of the construction process. Whether it’s the custom capabilities necessary for the world’s most renowned art museum in Los Angeles, the world’s tallest buildings in Chicago and Kuala Lumpur, international airports on every continent, schools, churches or office buildings, we strive to exceed your expectations on every project. Serenity Sliding Door Systems’ mission is to provide a space saving door solutions without sacrificing performance or design, provides high quality sliding barn door systems and sliding door systems for the healthcare, hospitality, and commercial office interior building and design projects. Our product not only looks great but performs. Finally, there is a good solution for the faults of sliding doors! Customizable with a variety of material and hardware options, lever and key lockable, gasketed, ADA compliant, fully sealed for sight and sound, NIC rated, and carries a STC 35 rating. We believe our product is so great, we have it on our own office doors! Since 1990, SELECT Products Limited has manufactured aluminum geared continuous hinges for secure and long-term solutions for high-traffic commercial door openings (new or retrofit). SELECT has the industry's only Continuous Warranty, and has laboratory tested for over 25,000,000 cycles (more cycles than most doors will see in 60+ years!). SELECT's hinges ("The GREEN Hinges" ) are recycled aluminum and can help a building qualify for LEED points. The company was started by a group of architectural hardware industry professionals with many years of experience selling or installing continuous hinges. The new company's guiding principle was to improve upon what was currently in the industry, and this principle has continued to be the guiding force to this day. Spectrum Lockers is the market’s #1 choice for high-end phenolic lockers and a dream come true for designers. Made out of phenolic in North America with aesthetically pleasing colors and finishes, and with the ability to customize your orders, our lockers are ideal for where areas of high traffic can occur, such as schools, fitness centers, hospitals, arenas, first responder stations, pools, spas, and aquatic centers. Spectrum phenolic lockers are your absolute best product choice for aesthetics and durability. Our lockers are made from Trespa®, a phenolic material composed of a homogeneous resin core, integrated with a closed cell decorative finish on the outside surface. Our GREENGUARD certified, fire rated materials are available in a vast array of solid colors, metallics, and wood grains, which is a dream come true for Designers, Architects, Engineers, and Property Owners. Founded to solve a common problem of children reaching the sink to wash their hands Step ‘n Wash is the safest way for young children and people of short-stature to reach the sink in public restrooms. Today, Step ‘n Wash can be found in thousands of well known businesses all over the USA and Canada.